The sons of James G. and Hannah Burton, Walter was born in Shrewsbury on 18 January 1881, and Ernest was born in Wolverhampton in 1884. They were living at 5 Corn Hill, Wolverhampton, by 1901, along with Walter’s siblings Ernest H., Ethel M., Mabel, Elsie E., and Gladys M. Walter was working as a railway clerk, and Ernest as a railway attendant. Assisting in instruction of 13 First Aid and 5 Home Nursing classes. He was awarded the 1914 Star. Walter died on 18 June 1966 at 25 McLean Road, Oxley, Wolverhampton, by which date his address was 32 Dunkley Street, Wolverhampton. The value of his effects was £2696. Henry (also known as Harry) was born in Wolverhampton in 1897, the son of John Wallace and Sarah Ann Shields. In 1901 they were living at 33 Victoria Road, Upper Penn, Wolverhampton, along with Henry’s sister, Josephine Elsie May. The family were at 18 Oak Street by 1911, and Henry had gained additional siblings Constance May, Annie Millicent, Nellie Winifred, John William and Edna Lilian. At some point his parents moved to Twickenham, Surrey. On 18 March 1914, Henry enlisted with the 6th Battalion of the South Staffordshire Regiment (service number 2216), serving in Western Europe from 19 August 1915. He attained the rank of Lance Corporal, but was wounded and discharged on 30 May 1916. He was awarded the Silver War Badge (number 34588) on 16 February 1917. On 12 January 1918, one hundred years ago today, Henry died (his death was registered at Richmond, Surrey). His death was presumably as a result of his war service, as he is listed as a casualty on the Commonwealth War Graves Commission website, and he appears in the Army Register of Soldier’s Effects under the category of “Soldiers Dying After Discharge”. He is buried at Richmond Cemetery in Surrey, and is remembered on the memorial of Trinity Methodist Church, Compton Road, as well as on the roll of honour of Cable Street Mills, where he was presumably an employee. Joseph was born in Wolverhampton in 1892, the son of George and Martha Denning. In 1901 the family were living at 11 St Mary Street, Wolverhampton. By 1911 Joseph was living with his widowed mother at 31 Oak Street, Wolverhampton, along with siblings George, Annie, Alice, and Harry, sisters-in-law Winnifred and Clara and nieces Lucy and Rosy. Joseph was a brass caster at H. B. Whitehouse & Sons foundry in Coseley. Joseph married Ada A. Davies in Wolverhampton in 1914. At some point he was also employed at Skitt’s, Temple Street, Wolverhampton. He enlisted first in the Royal Army Medical Corps (number 43853) and then in the 2nd Battalion of the South Wales Borderers in 1914 (number 24740). He went with his regiment to the Dardanelles but was wounded, and died of his wounds whilst at sea on the hospital ship Salto on 20 September 1915. This was reported in the Midland Counties Express on 30 October 1915. He is comemmorated on the Helles Memorial. Frederick was born in Wolverhampton in 1888, the son of Thomas and Sarah Ann Andrews. In 1901, they were living at 34 Oak Street, Wolverhampton, along with Frederick’s siblings Bernard, Madeline, Arthur and William Harry. They were at the same address in 1911, by which date Frederick had become a secretary to a gear case manufacturer. He married Daisy Maude Speed in the Wesleyan Chapel, Newhampton Road, Wolverhampton on 20 December 1913. They had a daughter, Hilary Joyce, born on 23 January 1917. On 10 December 1915, Frederick enlisted with the Royal Garrison Artillery (number 167732), by which date his address was 26 Argyle Road, Wolverhampton. His trade was given as Chief Clerk and Secretary, Walters Wolverhampton Ltd. Included in his service file is a letter from the company, giving their address as Melbourne Street, Wolverhampton, stating their consent to his leaving their employment to join the army. He was mobilised on 3 July 1917, and demobilised on 25 September 1919. Unfortunately, when he moved house from Oak Street to 125 Park Lane, Low Hill Estate, Wolverhampton, he appears to have lost his discharge certificate and papers, and there is a letter on his file requesting copies of these, “for the purpose of obtaining a position in the Ministry of Labour office”. Frederick’s name also appears on the list of Wolverhampton Special Constables, presumably he served as such in the early part of the War, prior to being mobilised. Percy was born in Wolverhampton in 1894, and was baptised at St Mark’s Church, Wolverhampton, on 26 April 1894. He was the son of Samuel and Jane Coss, living at 53 Merridale Street at the time of his birth. They were at 93 Oak Street in 1901, living with Percy’s brothers Harry, Horace and Harold. By 1911 the family were at 239 Merridale Street West, together with brothers Horace and Albert, and sister Doris. Percy was a bottler in the mineral water industry. 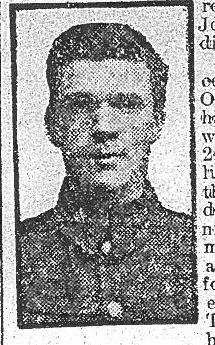 On 30 October 1914, Percy’s name was listed in the Express & Star as one of the men who had indicated their willingness to fight. 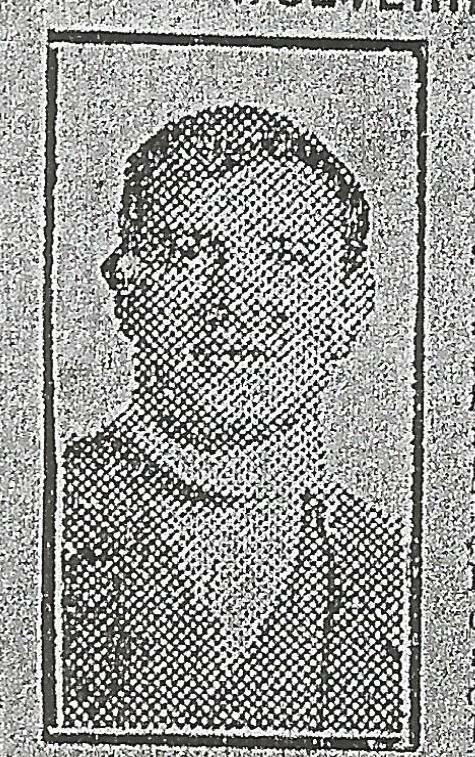 He was also listed in the Midland Counties Express on 5 September 1914 in a similar list. His address at this point was still 239 Merridale Street West. However, I have not been able to confirm details of his military service. Percy survived the war, and married Minnie E. Weaver in Wolverhampton in 1922. The couple do not appear to have had any children. Percy died in Wolverhampton in 1950. The son of George and Florence Morris, Sydney was born in Wolverhampton in 1894. His unusual middle name was in fact his mother’s maiden name. He was baptised at St Mark’s Church, Wolverhampton on 25 February 1894. In 1901 he was living with his parents at 80 Oak Street, Wolverhampton, together with siblings Walter E. and Hilda F. They had moved to 112 Stafford Road, Wolverhampton, by 1911, and Sydney had two more sisters, Ivy Louisa and Florence N. Sydney had become a carter at a locomotive works. Given the fact that he at one point worked for the Star Engineering Company, the most likely option is the second one. Either way, he later married a Mary E., and they had three children, although I have been unable to confirm further details of this marriage and the children’s births. They moved to 2 Garden Row, Zoar Street. Arthur enlisted as a Rifleman in the 7th Battalion of the King’s Royal Rifle Corps in 1915, serving five months abroad before dying in hospital on 26 January 1916. He is buried at Wimereux Communal Cemetery in France, and there is an article on him in the Midland Counties Express of 6 January 1917. An article in the Express & Star 24 February 1915 tells of the “thrilling experience” of Trooper J. Duffield of the Royal Horse Guards. Apparently he had been captured by the Germans but escaped in the night by shooting his sentry and “making a run for it”. He found a spare horse and manage to rejoin his regiment. This was told in a letter to his mother at 89 Oak Street. The article also states that he had recently recovered from a wounded knee and was currently in London. In the 1901 census, there is a 15-year-old James Duffield living at that address, so this is clearly the same man. James Duffield was born in Wolverhampton in 1885. In 1901, he appears at 89 Oak Street living with his parents, Reuben and Harriet, along with his brothers Bernard, Ernest and Percy, and sisters Edith and Gertrude. By this date, James has become a commercial clerk. I have not been able to find much further information about this man, including any records of marriage or death, other than the fact that his regimental number was 1192.